Race to the End of the Earth recounts one of the most stirring tales of Antarctic exploration: the quest to be the first to reach the South Pole in 1911-1912.The exhibition explores the epic adventures of Norwegian Roald Amundsen and Captain Robert Falcon Scott of the British Royal Navy on their respective 3900 kilometre (1,800-mile) journeys from the edge of the Ross Ice Shelf to the Pole and back. 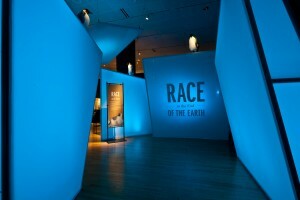 Race to the End of the Earth features photographs, paintings, and original artifacts from Amundsen’s and Scott’s expeditions, placing visitors in the midst of Antarctic exploration and research at the dawn of the last century. A highlight of the exhibition’s dioramas and interactives is the life-sized re-creations of Scott’s hut at Cape Evans, including his study and three of his crew members’ living spaces, and Amundsen’s underground workrooms, where his crew was able to work on their gear protected from the extreme wind and cold outside. Visitors can compare the different clothing and equipment, including one of the Norwegian team’s sledges and medical kit, and Amundsen’s own skis, gun, and wolf-fur coat with hood. Artifacts from the British team include a pony snowshoe, a sledging pennant, and manhauling gear, together with clothing items from Scott’s team members—mittens, balaclava, scarf, windproof tunic, shoes, and goggles. To help transport people back in time, visitors can choose a character card and assume the personality of one member of the expeditionary teams. 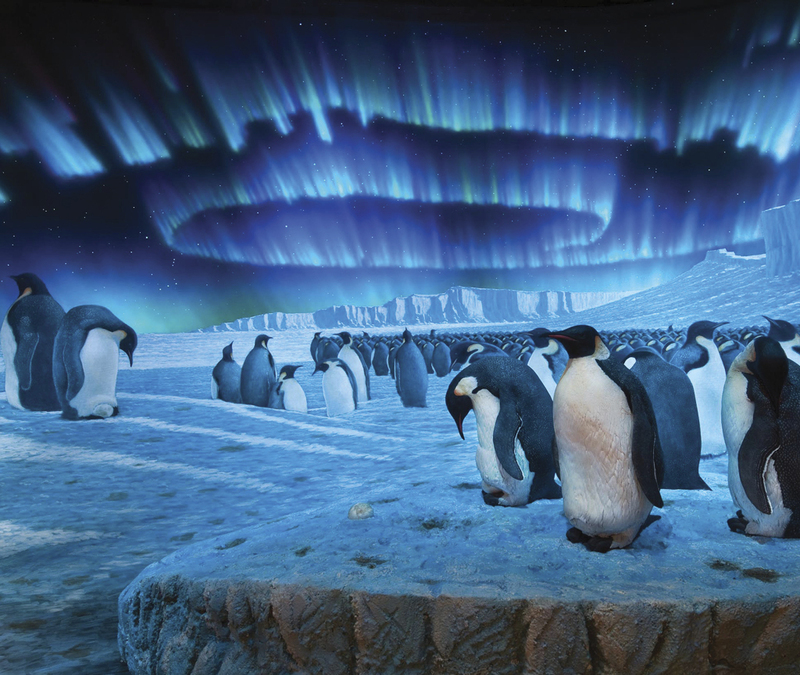 Moving through the exhibition, visitors will discover clues about their character’s experiences on the way to the South Pole. 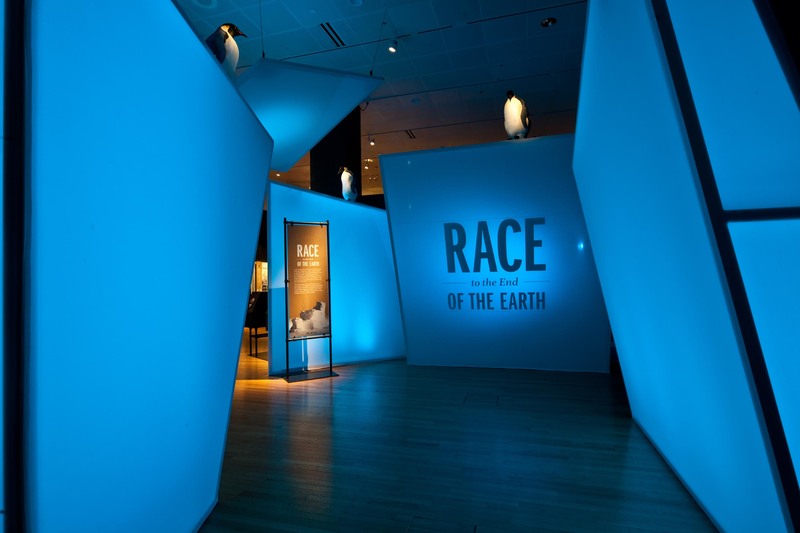 A stunning video projection, digital map and other interactive exhibits reveal what scientists are learning today about Antarctica’s surprising sub-ice landscape, ocean currents and weather, and how people manage to live year-round in this forbidding yet fascinating place.